Following a series of military gains, Syrian Kurds in the northeast of the country announced on Tuesday the formation of a transitional autonomous government. The latest declaration comes amid a general strengthening of Kurdish rights in neighboring Turkey, and increasing moves towards independence by Iraq’s autonomous Kurdish region. Long oppressed under Syrian President Bashar al-Assad and his father before him, Kurds view the civil war as an opportunity to gain the kind of autonomy enjoyed by their ethnic kin in neighboring Iraq. The announcement was made after talks in the mostly-Kurdish town of Qamishli, and comes after Kurdish leaders announced plans to create the temporary government in July. The transitional autonomous government involves the division of Syria’s Kurdish region into three areas, each with its own local assembly, as well as representatives to a regional executive body, AFP reported. “The meeting was held two days ago in the town of Qamishli between all the local groups, which discussed the project of a transitional civil administration that was put forward by the PYD earlier,” it said, referring to the Kurdish Democratic Union Party. Kurdish regions of northern Syria have been administered by local Kurdish councils since forces loyal to Syrian President Bashar al-Assad withdrew in the middle of 2012. 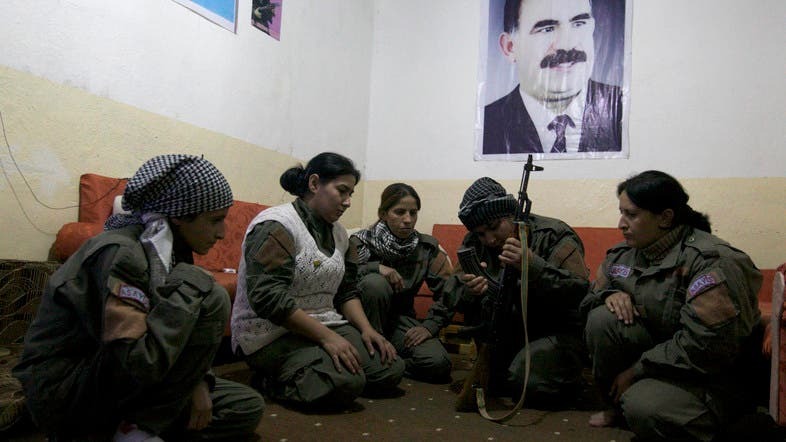 The redeployment was seen as a tactical move by the regime, one which freed up forces to battle rebels elsewhere, and encouraged the Kurds to avoid allying with the opposition. More recently, Kurds have battled with jihadist groups keen to secure a wider corridor between Syria and Iraq to ensure more regular supplies and reinforcements. Last month Kurdish forces seized control of a crucial border point with Iraq. Fighting between the Kurdish militiamen and jihadists ostensibly battling to topple Assad has added another level of complexity to the civil war, which has claimed an estimated 120,000 lives since 2011. Kurds represent about 15 percent of the Syrian population, and are mostly concentrated in the northern part of the country.